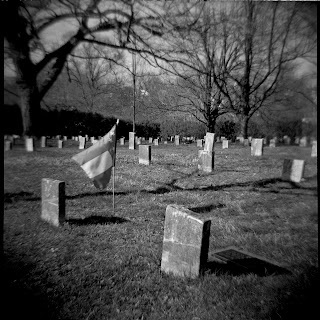 Lomography Society Diana F+ Kodak Tri-X Professional Arista 76 1:1 - The last of this "Dark Corners" series. There was very little wind this day. 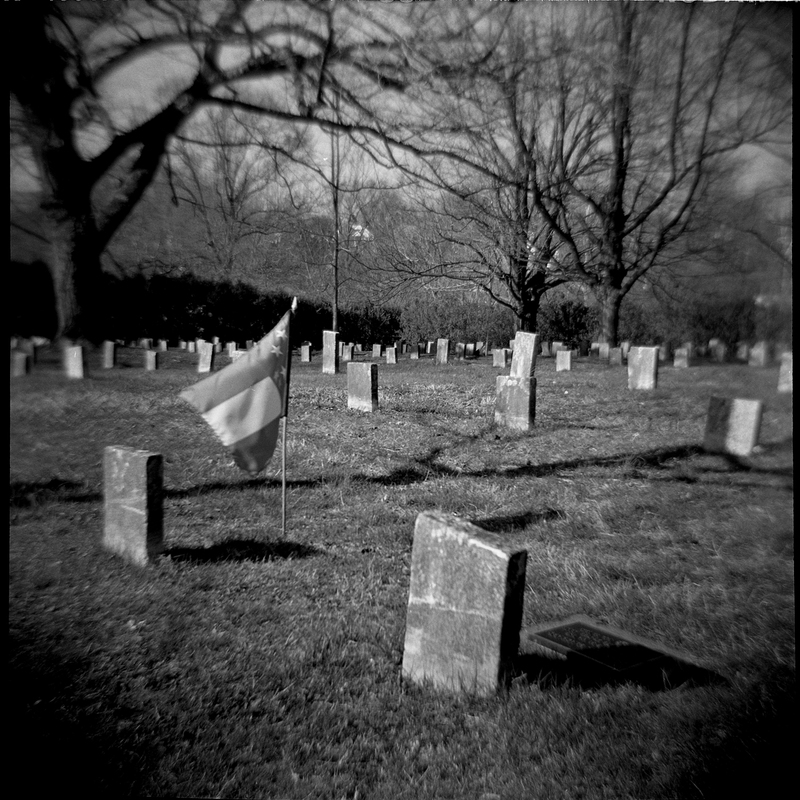 I squatted patiently, waiting for a breathe of life to lift the flag. It teased me... lift slightly then falling, until finally an exhale. Scanned with an Epson Perfection V500 Photo using Espon's OEM Software.